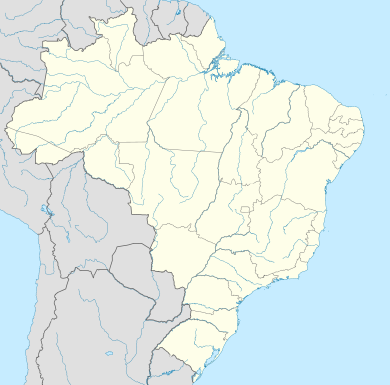 The 2015 Campeonato Brasileiro Série A (officially the Brasileirão Chevrolet 2015 for sponsorship reasons) was the 59th edition of the Campeonato Brasileiro Série A, the top-level of professional football in Brazil. After winning twice in a row in the 2013 and 2014 seasons, Cruzeiro came in defending their title as the Brazilian football champions. Corinthians won the title, their sixth overall and third since the introduction of the double round-robin in 2003. All statistics correct as of 7 December 2015. For the thirteenth consecutive season, the tournament was played in a double round-robin system. The team with the highest number of points at the end of the season was declared champion. The bottom four teams were relegated and will play in the Campeonato Brasileiro Série B in the 2016 season. The Série A served as a qualifier to CONMEBOL's 2016 Copa Libertadores. The top-three teams in the standings qualified to the Second Stage of the competition, while the fourth place in the standings qualified to the First Stage. Despite Criciúma's relegation in the previous championship, it marked the first time four clubs from Santa Catarina took part of the same Brasileirão, at least in its current format; last time it happened, in 1979, the championship had more than 90 teams. Rules for classification: 1) points; 2) wins; 3) goal difference; 4) goals scored; 5) head-to-head results; 6) least red cards received; 7) least yellow cards received; 8) draw. ^ a b Palmeiras has a berth guaranteed to the second stage as the 2015 Copa do Brasil champions. ^ Since a Brazilian team didn't win the 2015 Copa Libertadores, an additional berth to the 2016 Copa do Brasil round of 16 will be given to the best team not qualified to the 2016 Copa Libertadores, the fifth-placed Internacional. ^ a b Teams will enter in the 2016 Copa Sudamericana if they do not reach the 2016 Copa do Brasil round of 16. Also, the 2015 Copa Verde champion (Cuiabá) and the 2016 Copa do Nordeste champion have a guaranteed berth. Updated to games played on 6 December 2015. As of 6 December 2015. ^ "Futebol Brasileiro Stats". Globo Esporte. September 2015. ^ "Futebol Brasileiro Stats". ESPN. June 2015. ^ "Santa Catarina terá pela primeira vez quatro times na Série A". R7 (in Portuguese). Grupo Record. 2 December 2014. Retrieved 11 May 2015. ^ "Atlético Mineiro 3 São Paulo 1". GloboEsporte. 29 July 2015. Retrieved 29 July 2015. ^ "Cruzeiro 5 Figueirense 1". GloboEsporte. 6 September 2015. Retrieved 6 September 2015. ^ "Fluminense 1 Palmeiras 4". GloboEsporte. 16 September 2015. Retrieved 16 September 2015. ^ "2014–15 Brasileirão top goalscorers". Globo Esporte. Retrieved 28 June 2015.